The latest offering from Samsung offers to beat every other phone in the market in terms of size and the unique S Pen that offers additional usability. The Samsung Galaxy Note 9 comes with a big 6GB RAM that works with the octa core processor to give you lightning fast performance. With a battery of 4000mAh, you will always have enough charge. Additionally, an internal memory of 128GB that can be extended to 512GB helps you store all your favourite content without a worry. The massive 6.4 inch touchscreen of the Samsung Galaxy Note 9 ensures comfortable viewing even during all those video calls with friends and family. With a dual 12MP and 12MP camera on the rear and an 8MP camera in the front, you can indulge your love of photography with style. What is the battery capacity of the Samsung Galaxy Note 9? The Samsung Galaxy Note 9 comes with a huge 4000mAh battery that can last you the whole day. Is the Samsung Galaxy Note 9 suitable for gaming? Yes, the Samsung Galaxy Note 9’s water cardon cooling system diffuses heat for efficient cooling and the smart performance adjuster automatically adjusts gaming performance for the best experience. Does the Samsung Galaxy Note 9 have a slot to accommodate the memory card? Also, can its memory be expanded? Yes, the Samsung Galaxy Note 9 has a dedicated memory card slot. You can expand its memory up to 512GB using a micro SD card. How much loan can I get to buy the Samsung Galaxy Note 9? Also, how can it be repaid? 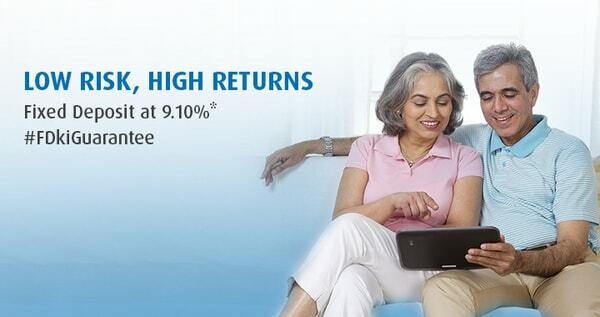 Bajaj Finserv gives you a loan of up to Rs. 4 lakh to buy a smartphone. The same can be repaid by you using flexible EMI options over a period of 2 years. What are the documents that need to be submitted to buy the Samsung Galaxy Note 9 on EMI? You need to submit only a few documents such as an ID proof, an address proof, and a cancelled cheque. Also, you need to sign an ECS mandate. The Samsung Galaxy Note 9 phone has powerful sensors such as the Accelerometer, Hall Sensor, and Proximity sensor. This handset also empowers you by letting you connect to a wide range of networks and bands such as WiFi, GPS, Bluetooth, USB OTG, 3G, 4G, and LTE too. Apart from this, the Samsung Galaxy Note 9 is pretty handy weighing 200 grams. Buy the latest Samsung Galaxy Note 9 on EMI from Bajaj Finserv to make the purchase easy on your pocket. The Bajaj Finserv EMI Network allows you to shop for your chosen phone on No Cost EMIs. Simply choose an online or offline retailer from among the vast network of more than 60,000 sellers across over 1300 cities. In order to shop within the EMI Network, all you have to do is swipe your EMI Network Card at the nearest partner store or online. Or you can talk to a representative to avail financing at the store. In this case, you just need to submit a photo ID, address proof and cancelled cheque to purchase your Samsung Galaxy Note 9 on EMI. You can buy the phone at the nearest retail store or online from popular online shopping websites. You can also access your financing details on the go using your Experia ID at the Bajaj Finserv customer portal. So, do not wait any more. Get the Samsung Galaxy Note 9 on EMI and enjoy long-lasting battery, great camera features and sufficient memory to store all your favourites.